Circus Ring of Fame’s Sylvia H..
DePaul junior Bushra Amiwala’s day began with a train ride to the loop for a live, 8 a.m. interview with FOX 32. 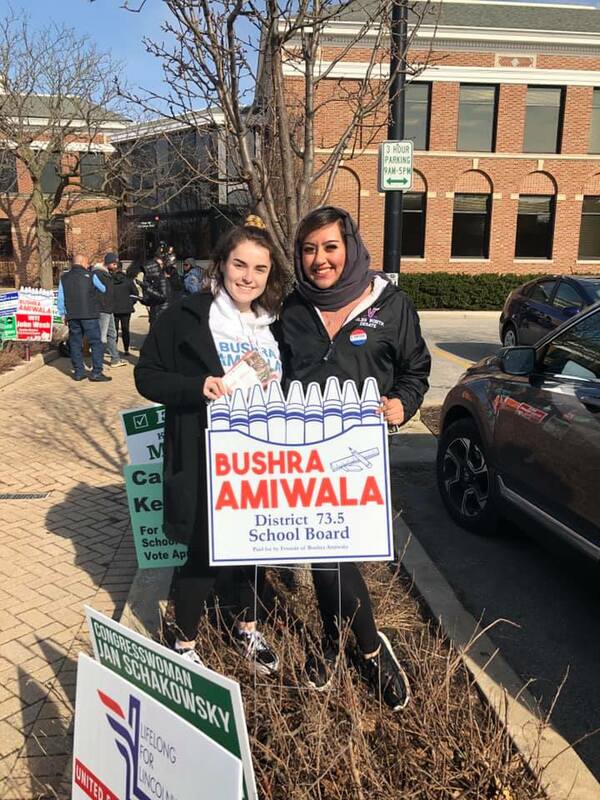 The media appearance comes two days after winning one of three elected board seats on Skokie School District 73.5 and would be the first of many engagement related events Amiwala would do before she headed to her 11 a.m. class. But it didn’t stop there. Soon after her afternoon class, she had a phone call with WE at 3:15 p.m. to prepare for her speech at their Illinois conference at Allstate Arena next month. Once that was wrapped up she had two more calls scheduled — one with a recruiter for a summer job with Deloitte, and another with the Communications Director for the Lt. Governor to discuss her speaking engagement at the Governor’s mansion next week. “After that I have a night class and then I’ll probably go home, do my homework, shower and sleep. Then repeat,” Amiwala said. There’s no such thing as a typical day for Amiwala. It’s an adjective that evaporated from her vocabulary when she decided to run for a seat on the Cook County Board as a 19-year-old in March of 2017. Amiwala, a freshman at the time, went up against Larry Suffredin, who was elected to the role about the same time she was starting elementary school. But Amiwala did not let this deter her. Despite losing to Suffredin last March with 25.27 percent of the vote, her efforts registered over 2,000 new voters and helped develop her platform and voice on a larger stage. “Growing up, I wanted to be a lawyer, so I never thought I’d run for public office,” Amiwala said. “I had no idea that six months later I’d decide to run for something again. 14 East Magazine spoke with Amiwala about the race, the win and how she plans to use her platform. 14 East: How did you decide to run again? 14 East: That’s something you don’t hear about too often. Amiwala: I know! So not only did he support me, but he also contributed to my campaigns and was only just a phone call away. 14 East: Was he the main person to convince you to do it? Amiwala: He wasn’t the only one who was asking me to run for the board. A lot of parents, and former board members, board presidents, Skokie elected officials, trustees…I think all of them saw something in me that I didn’t see in myself at the time and that’s what inspired me to run. 14 East: Who do you draw inspiration from? Amiwala: Obviously I think the two first Muslim women elected to congress are super inspiring, not only because they are Muslim ones, but as women they take on so much scrutiny for their race and their religion and their gender and despite all of that they prevail. I don’t know how or if I’d be able to handle public scrutiny at that level and at that scale, but they do it so gracefully and unapologetically continue to do what they do and stand for what they believe in. So they are really inspiring and I know Michelle Obama technically isn’t a political figure because she’s not an elected representative herself, but I always like the way she carries herself with poise and grace and that is something that I hope to do as well. 14 East: What’s it like to be a former student of Skokie District 73.5 and come back in a very different way? Amiwala: I really, really enjoyed my time at the schools. I had a great experience, but coming back a sort of older, more mature and a bit more self aware about things and research on what some of the schools have over the others…I just see these schools with a different lens. I see how great it is, but also how it could be better. And being a former student, there are things I know about from the perspective I hold that other people serving on board of education don’t have. 14 East: You don’t hear about a whole lot of college-age people coming back to serve their old school district. Amiwala: Yeah, to some it may not be the most exciting thing — it’s a governing board. So we for example are not the ones who are in charge of voting on textbooks. We’re the ones who create policies to maybe have administration adhere to to ensure textbooks are in line with what we as a board collectively decide what is best for the student. It really is a way to give back to the school district and community that shaped me to who I am. I went from there onto a lot of cool things on the national level and have resources and partnerships I hope to bring back to the school district. Photo courtesy of Bushra Amiwala. 14 East: Transparency is one of the key issues driving your run for office, correct? Amiwala: It is, yeah, not just for me but the issue of transparency is one that actually all of the candidates I think were very passionate about in terms of the school district. But it’s hard because there are just a lot of formalities that school board members have to stick to. For example, the meeting is in public but it’s not a public meeting, meaning that if someone asks a question during a public sessions, school board members are technically not allowed to respond. They take notes and can respond later through email and stuff, but I guess it’s just hard to draw the line between like what is being lack of transparency and what the policies of serving on the board of education are. 14 East: What are a couple things you’d do to increase transparency despite this? Amiwala: Well, one of the things I really hope to do is have the board meetings video broadcasted live just to sort of create another add on interactive piece [that’s not there] right now. Another is to publish the school board packet, the agenda the school board will go over prior to meeting. So those are two simple things that honestly can be implemented quite soon and work toward the issue of transparency. 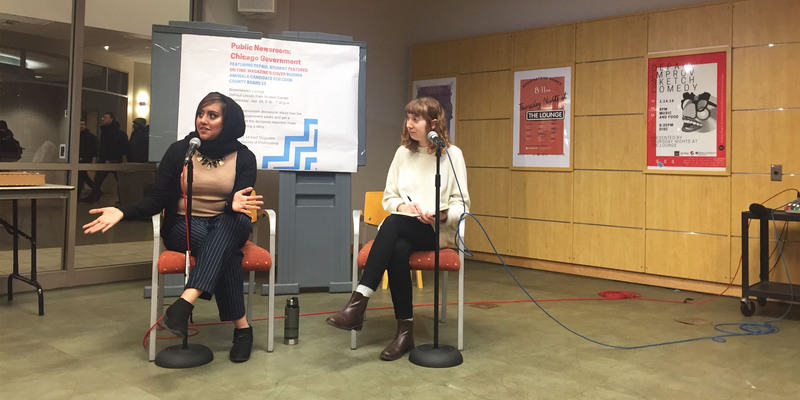 14 East: You published an article in Glamour in June on your experience as a Muslim woman running for office, and how your identity got more attention than your platform. What was it like to turn the tables and reflect on it in such a public way? Amiwala: I think it really gave me the platform to say how i felt and share some of the frustrations, but also just the experience of running in a nutshell and very small angle of it. I think that article sometimes could be picked up on as holistically that’s how my experience was, but I could write the same article about just being a young person. I could write the same one about just being a woman. So, I think of the lens of being a Muslim woman in particular, but it could be written in any facet of my identity to showcase how any aspect of me was viewed before my politics. You know, every single time someone talked about how I looked or my clothes or hijab or makeup or something before they talked about my candidacy…it was just another added layer that distracted from what I truly stood for…my policy ideas. And this was something just specific to the county board. I actually didn’t see this come up in my school board race, interestingly enough. 14 East: Will you use your heightened social media presence to benefit the school district? Amiwala: Most definitely. I hope to use my platform to do simple things such as promote our local school events to recruit and retain volunteers for our school activities and programs, but also to bring forth more community partnerships and things of that sort. So really leveraging that…I uniquely have the opportunity to bring that to the table and I really hope to do so. 14 East: Do you think people being more familiar with you played a big part? Amiwala: Yeah, I think that this time around I had a lot of added credibility. So, instead of walking in a room and introducing myself people would come up and introduce themselves to me. It was really cool, because when I was running for county board, for example, I didn’t have any endorsements from elected officials. And then for my school board race, IL Representative Jan Schakowsky endorsed me. I guess it’s just interesting that in the school board race those sort of endorsements from elected officials didn’t even hold as much value than they would have If I had been running for county board. Yes, I had a lot more resources this time around and I didn’t have to spend as much time proving myself, but the dynamics of a race that is hyper local as such…those type of things would have been a bit more valuable had I had them for my county board race. 14 East: For the people that still don’t know you…What would you want them to remember after meeting you for the first time? I think when people meet me one of the first things they say is that I come across as very…polished is the word that’s used. People feel like I speak in a way that seems like I’m over rehearsed, that I’ve practiced saying sound bytes — but I just talk like this. But my friends would describe me as really funny, and I try to be funny in my speeches. I think comedy is a great at way to tell stories and to break down difficult concepts, and also explain something to someone who may not find it interesting. I feel I’ve done my absolute hardest to stay true to myself to stay close to my morals and issues and things that I find to be of value — and I’m still just as close to my family. I think them and my very close friends do a great job reminding me of who I am, so it’s been easy to not let go of that.